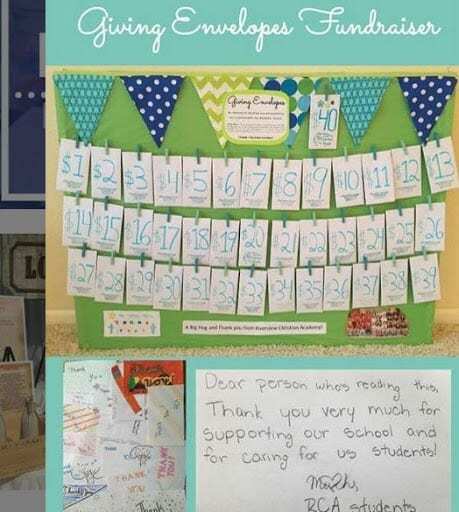 This blog focuses on several school fundraiser ideas that were used recently by Murad Auctions’ clients. A unique school fundraiser idea is to offer extra recess time for a whole grade. 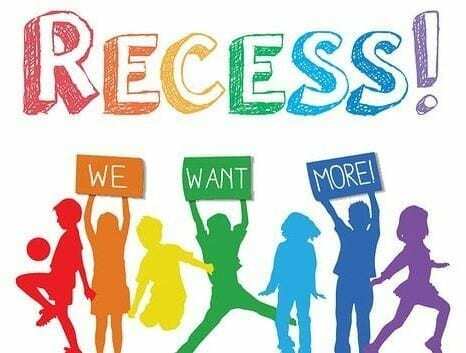 The entire grade receives 10 extra recess minutes for every $100 dollars raised. Make the purchase available in increments of $20 to raise more money faster. By using our mobile bidding software platform, it is easy for guests to make a donation on their phone and grandparents and other friends and family can donate without even attending the event! Find out more by clicking here. 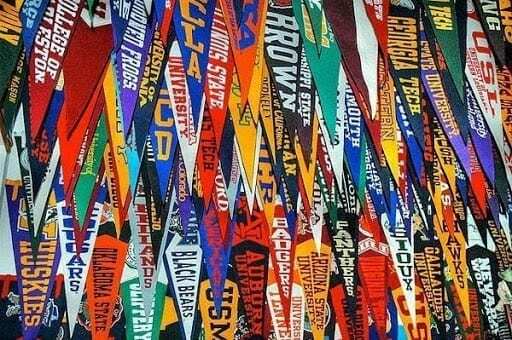 Another great school fundraiser idea is displaying the college flag of school alumni in the gym or other prominent place in the school for a year. In Texas, some of our schools call this The Red River Rivalry, but you can come up with a creative name for your local area. Encourage as many alumni from your college to donate to the school fundraiser. The college flag of the alumni group that raises the most money will be displayed in the designated area at the school. You can make announcements or show the updates on the display screens at the event to encourage more competition! The winning group is announced at the end of the night! Use school pride to raise money at your next school auction. When patrons buy a school mascot, they receive a $25 gift card. Each mascot has a numbered tag around its neck To generate more interest, make it a raffle for a trip or airline tickets! Because parents often have more than one child, they purchase multiple mascots to take home! A teacher wish board is another school fundraiser idea. This is a creative way to display a wish list for teachers and classrooms. Parents can choose a wish to fulfill and donate to the specific teacher’s donation opportunity in our software. To make collecting donations for this fundraiser easier, use our mobile bidding system. Find out more by scheduling a software tour. Click here. Class crafts are a wonderful way to create one of a kind items to sell at your event. 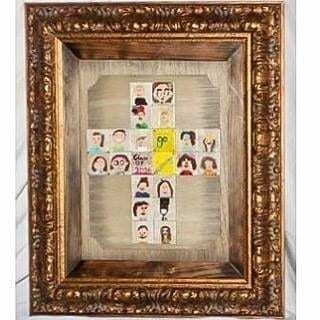 Create beautifully framed cross collages with hand-painted self portrait tiles to offer at your next school auction. Parents would love to win these treasured items. A fingerprint mosaic is an adorable class project to help raise money at your school fundraiser. 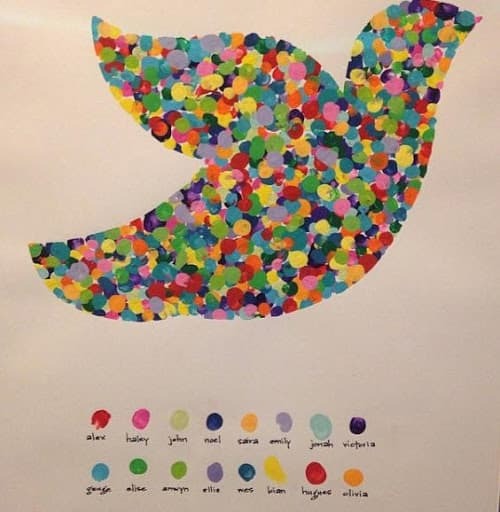 Students select a paint color and use their fingerprints to create a beautiful mosaic like a dove or a cross. Decorate the envelopes and add a small gift, scripture or inspirational quote. Donors select an envelope and put the requested amount of money in the envelope and they get to keep what’s inside the envelope. 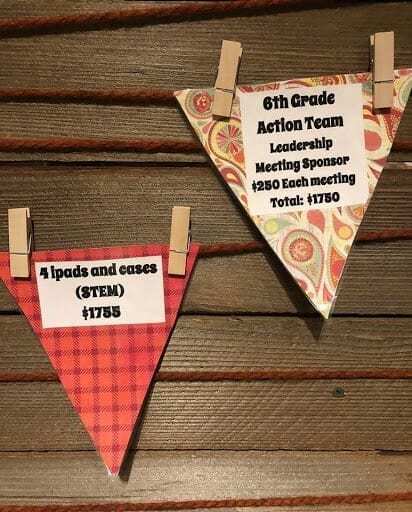 For more school fundraiser ideas, follow our blog. If you need assistance or have questions about planning a successful school fundraiser, contact us. We would be happy to assist you. Murad Auctions offers professional charity auction services to non-profits for successful benefit auction events. Since 2000, Murad Auctions has helped hundreds of non-profits achieve their fundraising goals. Murad Auctions relies on years of experience, crowd-pleasing enthusiasm and technology to take benefit auctions to the next level.